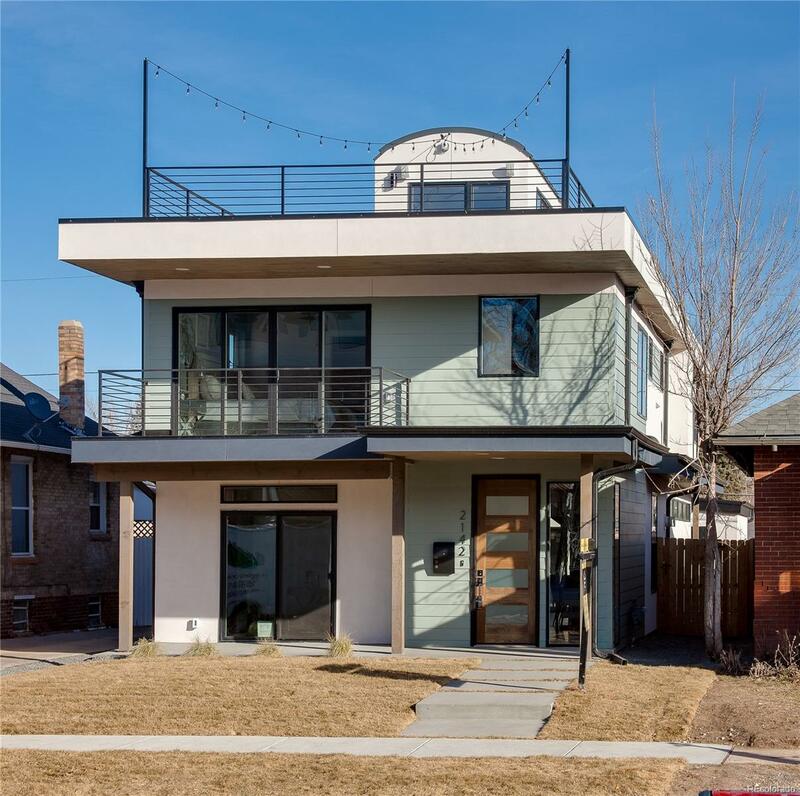 Spectacular 3-story New Build 3 blocks from Sloan's Lake*1,100 sq.ft. of outdoor space including huge roof deck w/ jaw-dropping skyline & mountain views*Stylish kitchen w/ quartz counters, gray soft-close cabinets, walk-in pantry, stainless steel appliances including french-door fridge, double ovens & gas range*Spacious family room w/ 3-sided linear flame FP opens to a covered back patio w/ gas line, ceiling fans, outdoor speakers, large backyard & 720 sq.ft. 3-car garage*Beautiful HDWD floors throughout*Custom floating staircase*Indoor/outdoor sound system w/ built-in speakers*Main floor study w/ glass wall & wood accent wall*2nd floor w/ 4 bedrooms, laundry room & flex space w/ gas FP*Master retreat w/ private balcony, walk-in closet w/ built-in safe & spa-quality 5-piece bathroom w/ designer tile & LED mirrors*Amazing 3rd floor offers party room w/ skylights, wet bar w/ wine fridge & 5th bedroom w/ attached 3/4 bath & downtown views*See this incredible new home before it's gone!